Akos is from the peace-loving nation of Thuve, and his loyalty to his family is limitless. Though protected by his unusual currentgift, once Akos and his brother are captured by enemy Shotet soldiers, Akos is desperate to get his brother out alive — no matter what the cost. When Akos is thrust into Cyra’s world, the enmity between their countries and families seems insurmountable. They must decide to help each other to survive — or to destroy one another. (Goodreads). 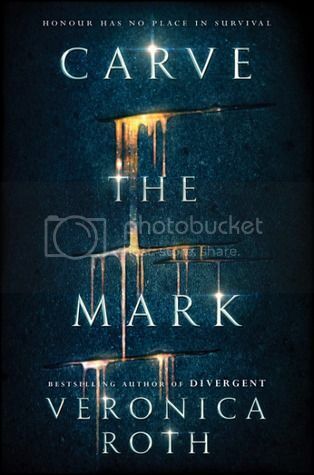 A new book by Veronica Roth!! This book sounds really awesome, and I can't wait to check it out. I've already preordered my copy. Have you?? Nice! I want to read this one but I feel hesitant over it for some reason. Not because of Allegiant either. I actually enjoyed that one. More so because I feel confused over the story line already I guess. I hope you enjoy this one once you read it! Will definitely look for your review later on to help my decision making process! Great pick! I am excited to check out her next novel. I hope it doesn't disappoint. I've seen this one around quite a bit today! I read the first two books in the Divergent series but never got around to finishing it. I don't know if I'll be reading this one - it does sound pretty good though! And that cover is amazing!